Game description: This is an upgrade version of Outrun 2 with 15 all-new courses which are predominantly based around a New World theme. 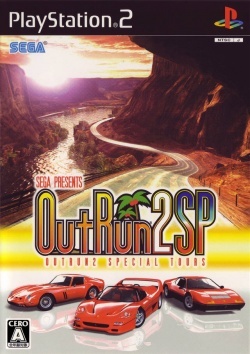 All new courses, songs and game elements now appear (alongside the originals and new content) in the home video-game OutRun 2006: Coast 2 Coast. 1.5.0-dev-2175 GSDX AVX2 SPU2-X SDL Works more or less perfectly in both software and hardware however heavy on GPU in hardware above native res. Native (widescreen/progressive) = 100% speed. This page was last edited on 31 August 2017, at 21:05.